Regular Broughdale Hobby visitor John Harriot from Australia shared this image with us.
" I thought you may appreciate a picture of my lastest AusTrak module and VR branchline goods train headed by a VR K class steam loco (MicroAce 2-8-0 mech). "Good on ya mate" That is some real model engineering! Thai death railway built during World War 2nd at the dangerous curve at Kanchanaburi Thailand. Broughdale customer Geoff Chandler recently had an opportunity to ride on the infamous "Death Railway" in Thailand. Built by Prisoners of War for the Japanese during WW2. His description and the post card publishers caption say it all. "It is very hot indeed. It's winter too. I went on this today. Really nerve wracking for this part of the journey. One hopes the maintenance men have done their their stuff. 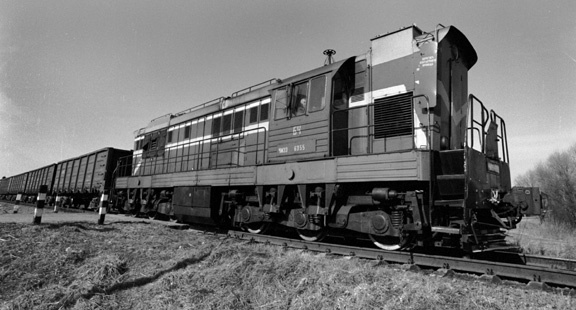 Our train was locomotive hauled." Note:- 7 of 10 deaths on this slave labour built line were Asian workers and their families. Effectively creating Japan's equivalent of the Holocaust. Brutal conditions and starvation were a hallmark of the line for which few responsible faced penalties. photo copyright Menno Meijer 2002 used with permission. Have a happy Canada Day and see you soon. 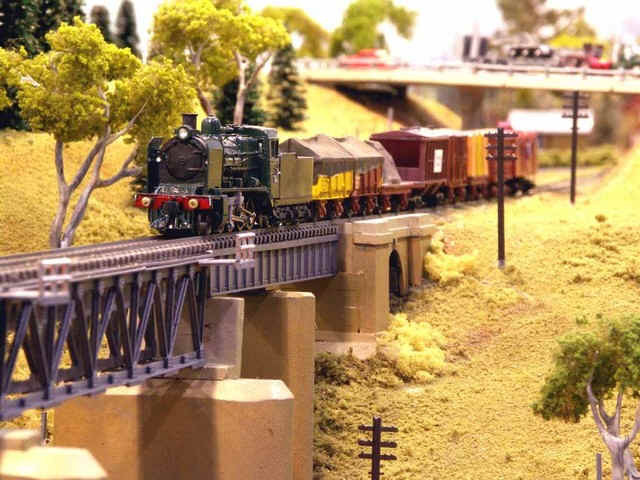 O scale customer John Loynes has built these locomotives from kits and parts supplied by Broughdale Hobby. The Eureka Railroad is set on the Canada-US border. 1. 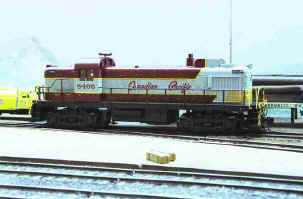 "Weaver RS3 now painted and 'Canadianised' - supplied by Broughdale"
2. 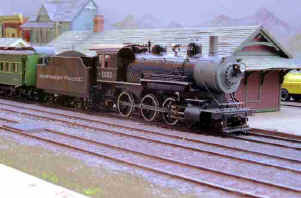 "Scratchbuilt Northern Pacific 4-6-0 S4 #1352 using some PSC parts previously supplied by you"